This dairy free bread recipe is perfect for sandwiches, french toast, bread pudding and more. An easy recipe that should be in everyone’s book! It’s a completely vegan bread recipe that is allergy friendly! 6 ingredients and just one bowl! Let’s preface this whole thing by saying, bread doesn’t have to be scary. Sometimes people hear homemade bread or yeast or rising, and immediately click the little X at the top of their browser. But wait! 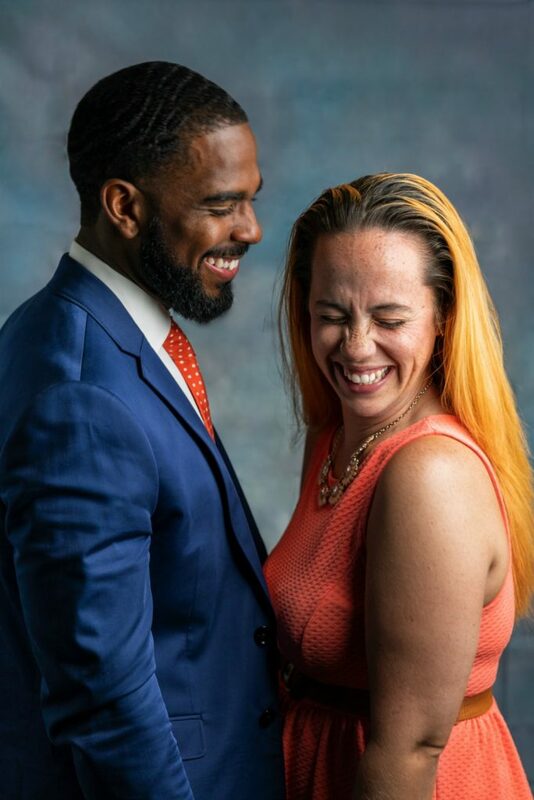 Please don’t leave. I promise you that I’m going to make this a really simple overall recipe. 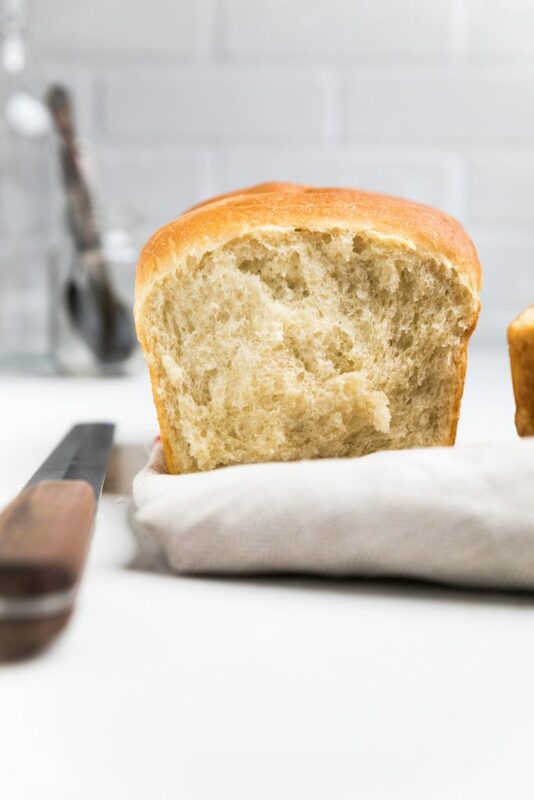 Sure, you’re going to have to wait a bit for rising and things, but as long as you will listen, you will have an amazing, perfect dairy free bread that you make again and again and again and again and again (ok, fine…you get the point). 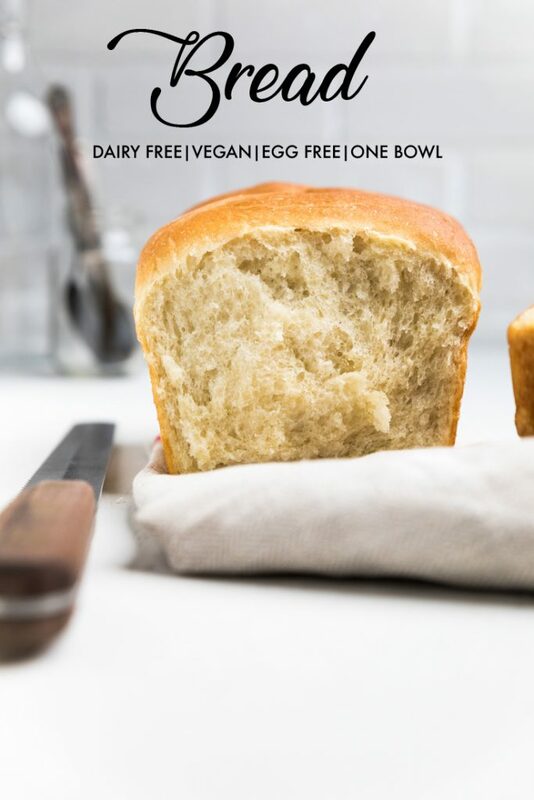 This dairy free bread recipe is completely dairy free, but it’s also egg free making this a vegan bread recipe also. 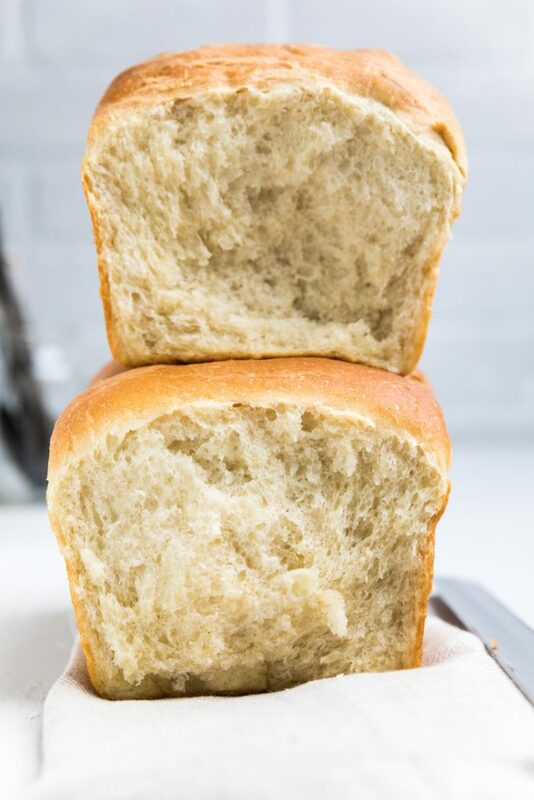 You can also try making this dairy free bread recipe with gluten free cup for cup flour. Doing so would make this a completely Top 8 allergen friendly bread recipe. 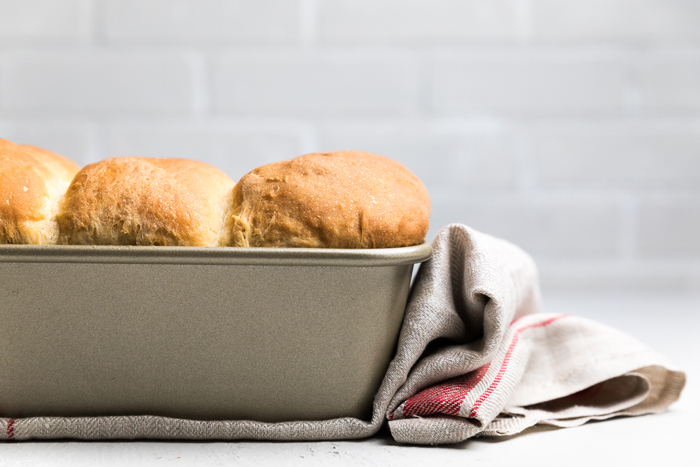 What ingredients do you need to make dairy free bread? That’s all you need to make this amazing dairy free bread. 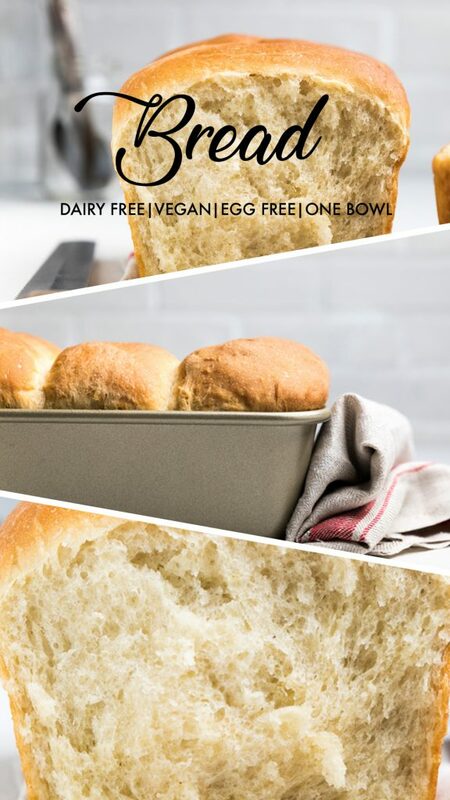 How do you make dairy free bread? The first step, if you are nervous, is to stop, take a deep breath, and exhale. Homemade bread does not have to be difficult. I repeat, homemade dairy free bread doesn’t have to be difficult. Start by mixing together a pinch of sugar with the yeast into a bowl of warm water (not hot, warm to touch). Let set for 5 minutes. In a large bowl, then mix together the rest of the sugar with the olive oil and applesauce. Mix until well combined. Then, add in the yeast mixture and one cup of flour. Using a dough hook, start mixing, scraping down as necessary. Add another cup of flour and combine. Add remaining cup and a half of flour and knead with dough hook for about 5 minutes. If there are any little pieces remaining that have not combined inside of the dough, lift up from the dough hook and knead those pieces in by hand. The dough should not be sticky at all. If it is, add a bit more flour until it’s not. Rub oil over the dough and place it back inside the bowl. Wet a towel with water to make damp. Cover bowl with cloth. Place in oven and let rise for 60 minutes. Once the time is up, remove the towels and separate the bread into three, even sized balls. 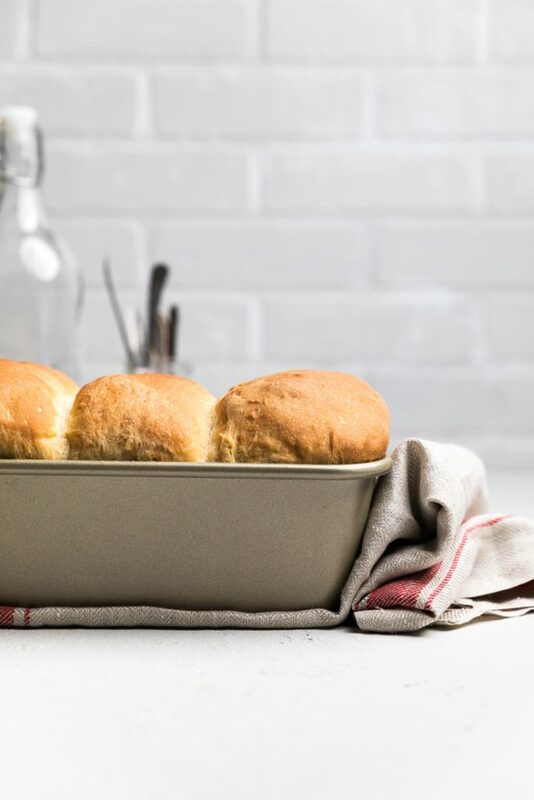 Place instead a greased bread pan. Place back in oven (still off) for 20 minutes. The bread should be peaking over top of the bread pan at this time. Remove from oven and preheat oven to 350 degrees. When oven has reached temperature, place in and cook for 30 minutes. When the timer goes off, the top of your dairy free bread should be a deep golden brown. 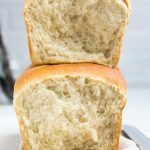 How can I use this dairy free bread recipe? In a large bowl, mix together 1/4 cup sugar, olive oil, and applesauce. Mix until well combined. Add in the yeast mixture and one cup of flour. Using a dough hook, start mixing, scraping down as necessary. Once almost together, add another cup of flour and combine. Add remaining cup and a half of flour and knead with dough hook for about 5 minutes. If there are any little pieces remaining that have not combined inside of the dough, lift up from the dough hook and knead those pieces in by hand. The dough should not be sticky at all. If it is, add a bit more flour until it’s not. Rub 1 tbsp oil over the dough and place it back inside the bowl. Wet a towel with water to make damp. Cover bowl with cloth. Place in oven and let rise for 60 minutes. Remove the towel and separate the bread into three, even sized balls. Place inside a greased bread pan. Place back in oven (still off) for 20 minutes. The bread should be peaking over top of the bread pan at the end of the time. Remove from oven and preheat oven to 350 degrees. When oven has reached temperature, place in and cook for 30 minutes. Remove from oven and let sit for 20 minutes. Use as needed.